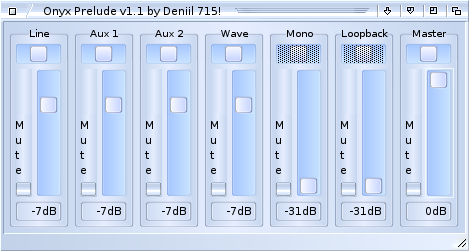 Short Description Onyx Prelude is a new fresh mixer for the Prelude sound cards! * Everything concerning audio can be controlled by arexx! * Everything concerning audio can be controlled by userdefinable hotkeys! * There are two different mixer GUIs, pick the one you like! * The mixer can popup on hotkey or arexx event! * The mixer can close again after a userdefinable delay!